Heavy Steel Construction. 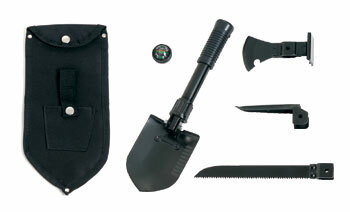 Includes a compass and interchangable shovel, saw, axe, and pick. Comes with nylon carrying case.